MSBA’s volunteer and executive leadership hosted an open member forum on May 15, 2018, at Bar Headquarters in Baltimore. MSBA President Sara H. Arthur and the Executive Committee fielded questions regarding fiscal responsibilities, communications with the general membership, governance, and more. 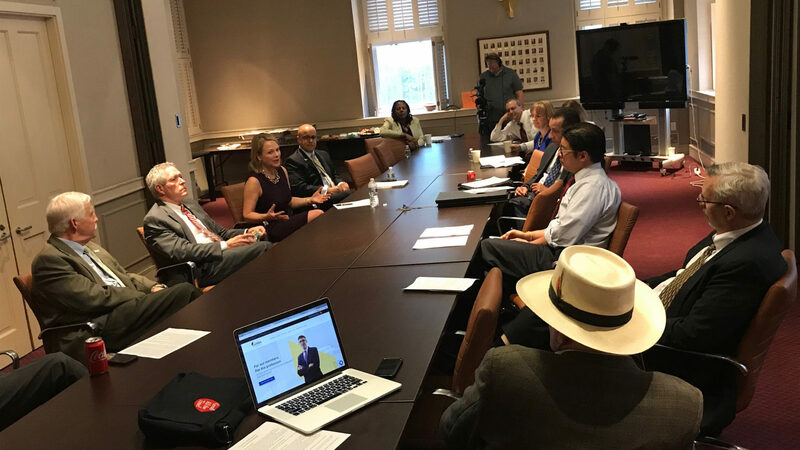 Approximately 15 people attended the event, part of MSBA’s efforts to provide its members greater transparency into the machinations and management of the bar. To learn more about your MSBA, visit our Inner Workings @ MSBA FAQ page.